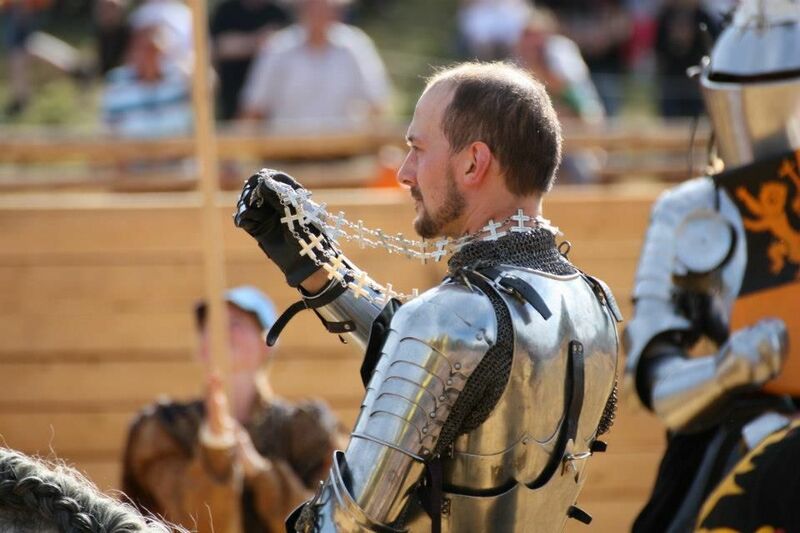 The Jousting Life: An Interview with Arne Koets: Chosen by the Ladies Jury as the Bravest Competitor at "The Grand Tournament in Sankt Wendel"
As mentioned in a previous article, Arne Koets was the “Winner of the Prize for Highest Bravery” at "The Grand Tournament of Sankt Wendel". Arne won this award because of the votes he received from the Ladies Jury – a select group of women who could award points to any competitor whose behavior on the field pleased them. 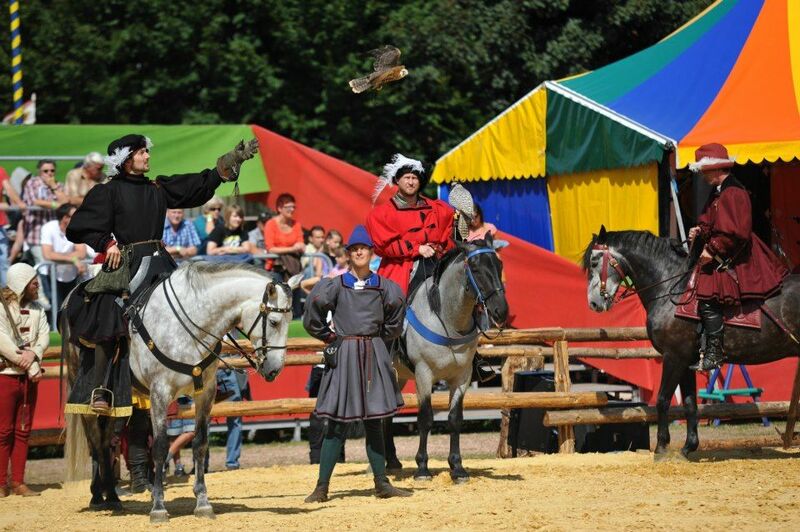 Not only was Arne a competitor, he was also the organizer for the jousting and mounted competition portion of “The Grand Tournament in Sankt Wendel”, and hopefully, he will discuss more about organizing such a huge event in a future article. However, for now, he was kind enough to answer some questions about his experiences as a competitor during the GTSW. Arne: I suppose the tournament field was the first thing to blow me away. The city had really made an effort. Please describe one of your favorite non competition related moments during the GTSW. 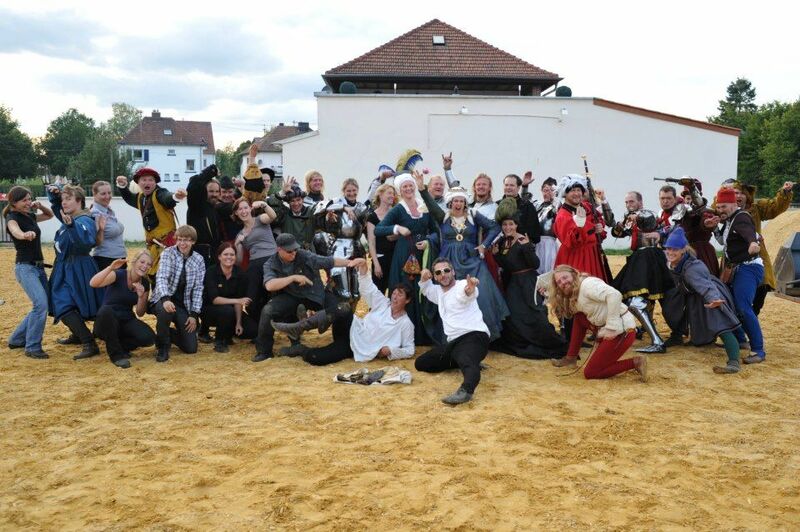 the little sword fight I did with Joram for TV was good fun and like old times; the reaction of the various groups; but most of all the crew was really gelling, and the feeling of bringing new friends together. They sang me a raucous “For He's a Jolly Good Fellow” one evening, and that was really touching. It meant a lot to me that the leadership of the Fürstliche Hofreitschule gave me a chain of the Order of the Dragon as a gift for my organizational work and riding at the same event. I was really touched that they were proud of how I rode. Please describe one or two of your favorite moments during the competition of the GTSW. ...but the melees were just so much fun. The realization I just couldn't get to Pelle[Per Estein] when Joram was riding injured, blocking position, was just amazing. He was just everywhere! 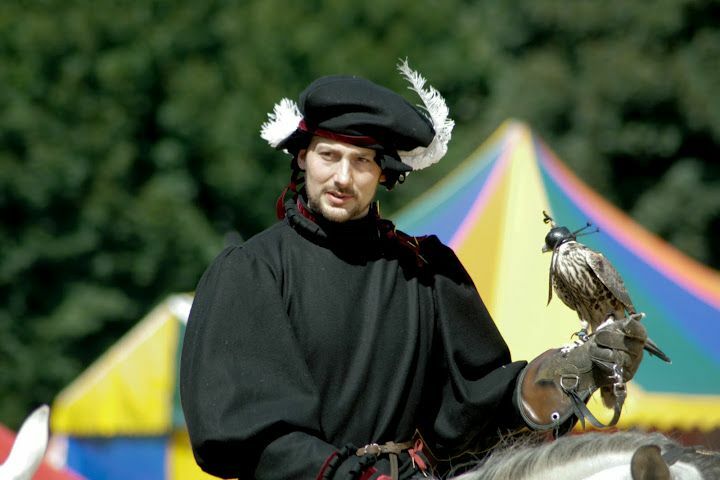 Congratulations on being chosen by the Ladies Jury as the “Winner of the Prize for Highest Bravery”! Why do you think the Ladies chose you, and how do you feel about it? Arne: Because I find winning less important than honesty? I'd rather lose well then win badly. Getting points by luck happens in any sport, but I don't handle that very well. Arne: Andreas worked EXTREMELY hard to up his game for this event. The horse I lent him is not easy, and he rode him very well. 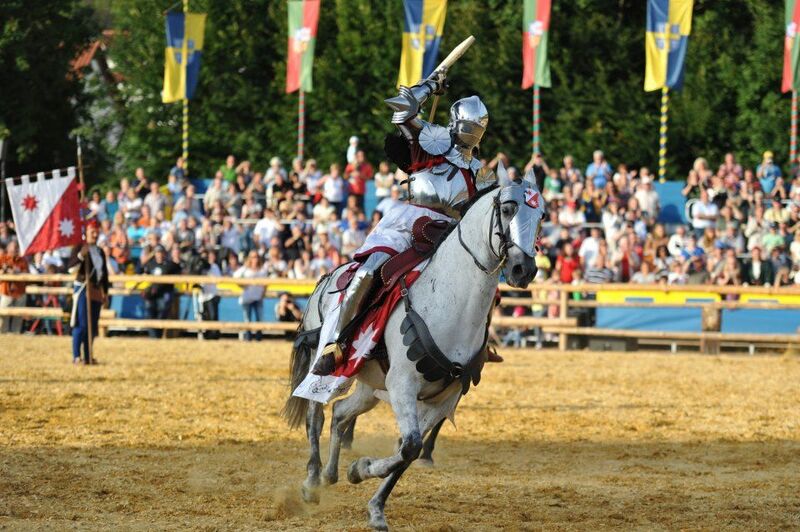 As a result, he was the squire who was always on the winning team in the melee. That is where the consistency of riding comes through. Hard job, good performance, modest chap, good man. Even though he was injured and unable to complete the competition, Joram van Essen still won the overall tournament, in part due to other competitors contributing to his score. You gave Joram enough of your own points to put Joram in first place ahead of yourself. Please explain how and why you did that. Arne: He just rode sooo well in that melee, literally throwing himself under the clubs bearing down on his teammates without any armour. He was clearly the consistent lance breaker, the tank in the melee. I knew I was edging ahead, but I felt I was owing that to luck rather than skill. I knew I performed under my own par (maybe because I had to organize the event at night and ride during the day), and it just seemed absolutely clear to me that he had already won. Technically, there was an 'after-whistle' run of melee that would have changed things. I spoke to the Ladies Jury and asked them to give my Ladies Points to Joram. 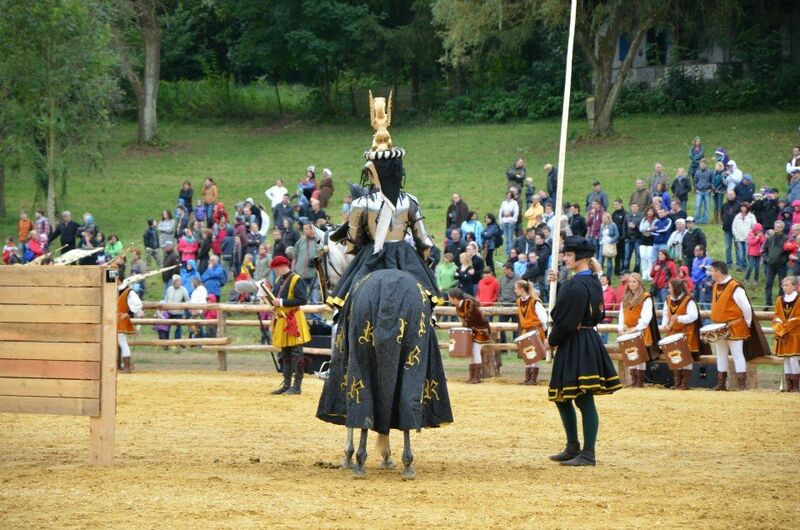 The Ladies Points are subjective, like a dressage judge, except the melee is very fast and chaotic. Judging it is a difficult job. - The after whistle thing was again awesome, and I didn't want it to go unnoticed/unscored. - I rode worse than the previous two days, and yet I got more Ladies Points. - I had injured Joram, which made a difference to his scoring ability. (He missed out on 4 runs with me. Although the guys rode in his name, he would have scored better himself.) Yet he came back ASAP, and carried on in the event. 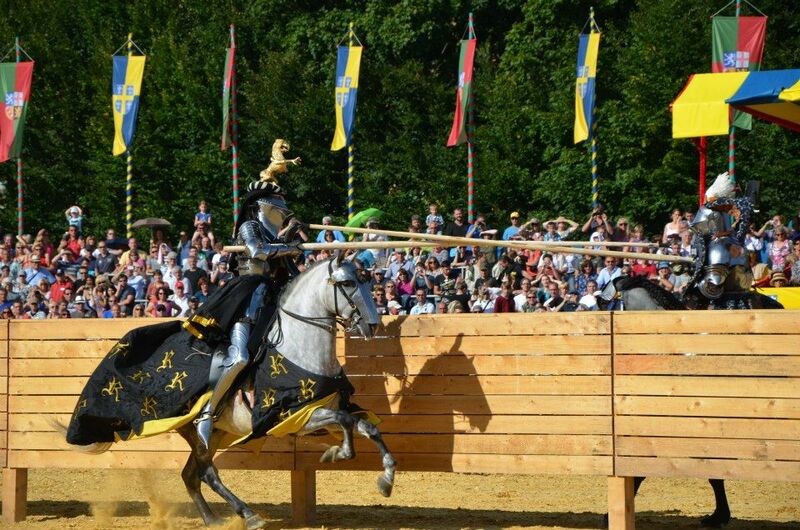 - Quite simply, Joram rode very well and was the most consistent jouster in the event. When I was giving him the points, I knew I was changing first place. Yet I felt that I shouldn't have been in first place. The way the points were awarded, he was in second place, but they could have decided otherwise, you see. What would you like to say about/to the squires, ground crew and/or others who helped you during your participation in the GTSW? Arne: There are sooo many people to mention! I suppose I need to say that my squire Arto Fama was always there, looked out for me, was working hard, never slipped up. My groom Jan was always on time, had everything sorted, and my groom Rebecca warmed up my horse so I could take time out to talk to the masses of press. The team was a well oiled machine despite being VERY eclectic and polyglot. What would you like to say about/to the other organizers of the GTSW? Arne: The event was mostly an effort of Dr. Alfred Geibig and I, and from the city side Thomas Wüst. We spent two years to prepare the event. The other guys were really committed and really supported me though thick and thin. Also being so overwhelmed by the German press is certainly underlining that we are now approaching this in a professional museological way. Arne: Overwhelming... It was just a dream come true, a dream held for over 14 years. And I think I can safely say not just by me. It really did feel like a 100% 'right'. It felt real.